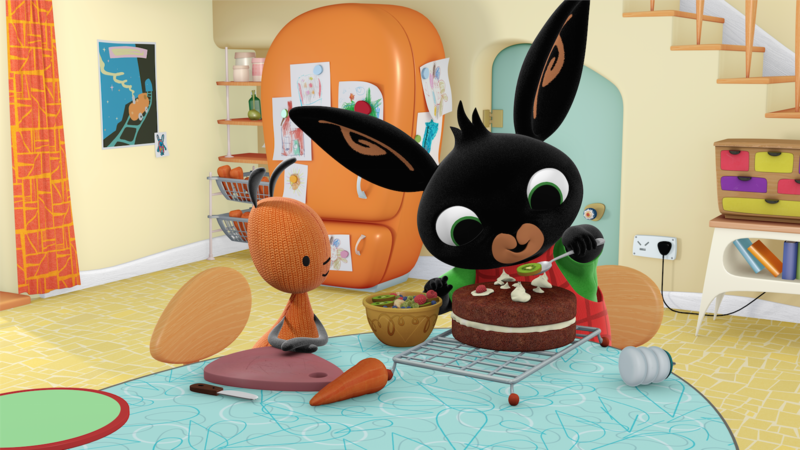 London, 24 October 2017: CAA-GBG in partnership with award-winning UK studio Acamar Films has boosted its extensive licensing programme for Bing by securing a deal with leading cake manufacturer BBF, as well as renewing licensing deals with Dreamtex and Egmont Publishing. Launching in Spring 2018, Bright Blue Foods, one of the leading manufacturers of retailer own label, licensed and branded cakes, will produce delicious Bing celebration cakes, fairy cakes and traybakes that which are sure to be a delight for Bingsters all across the UK. Dreamtex have extended their home textiles license following solid sales of the bedding and fleece blankets and the recently launched shaped cushions and wallpaper. Further new products will launch in 2018. Egmont Publishing will also continue to develop its stand-alone Bing magazine, which launched in July 2016 and offers a collection of stories, activities and stickers. The deals add to Acamar’s growing licensing programme for Bing, where toys, clothes, books, puzzles and games continue to drive strong retail success.